Manchester United are preparing for their most daring transfer window ever - with Gareth Bale, Harry Kane and Bastian Schweinsteiger all targets. Louis van Gaal has been promised the funds to challenge on all fronts next season and will pursue a stellar list of names this summer. Bale remains a top target, while United are considering a £40m move for Tottenham striker Kane. 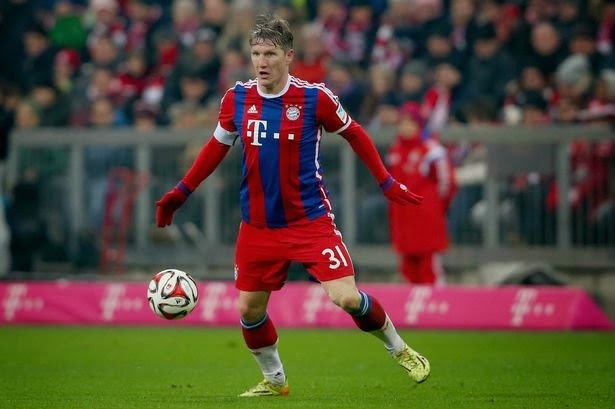 Van Gaal is also a huge admirer of Schweinsteiger and is poised to launch a bid for the German international if he decides to leave Bayern Munich at the end of the season. It is understood that United accept it will be difficult to push through a deal for the World Cup winner - but they will be ready to move if given any encouragement from Bayern. It is set to be a busy summer for Van Gaal, who has handed executive vice chairman Ed Woodward a wanted list that includes first, second and third choice options. Bale would be considered in the first category. But United’s interest in Kane and Paris St Germain’s Edinson Cavani is evidence of how wide they are prepared to cast their net in search of the players to turn them into Premier League champions. Van Gaal has made a world class central midfielder a priority. The Dutchman has been concerned by the club’s over-reliance on Michael Carrick, who has endured an injury-disrupted campaign. Schweinsteiger would be an ideal candidate, with Van Gaal having worked with the 30-year-old during his time in charge at Bayern. 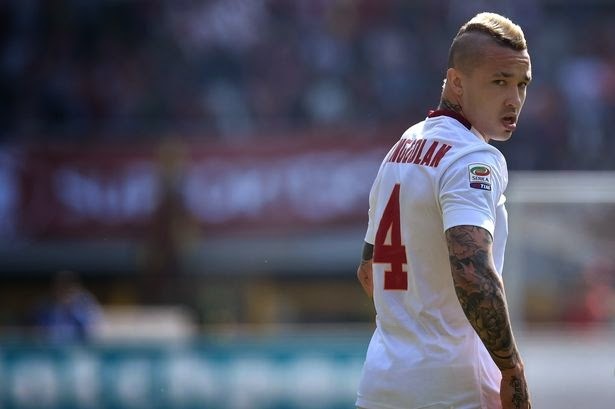 Another midfield option is Roma’s Radja Nainggolan, who United are looking at closely in a deal for around £15m. Van Gaal is a long-term admirer of Kevin Strootman, but the Dutchman’s latest knee injury, following ligament damage last year, makes him a major gamble. Nainggolan represents a much cheaper option, with Van Gaal believing the Belgian international can bring energy to United’s midfield. United sources have played down interest in Liverpool contract rebel Raheem Sterling. Van Gaal is also in the market for a world class centre back. Mats Hummels was a first choice option, but Borussia Dortmund claim the German international will stay at the Westfalenstadion, despite United’s interest. Van Gaal has also been linked with Valencia’s Argentine defender Nicolas Otamendi, but it’s understood there is no serious interest in the 27-year-old. Memphis Depay became United’s first signing of the summer in a £25m move from PSV Eindhoven, but accounts for only a fraction of the £150m budget Van Gaal has been handed.